Yesterday Theresa May spent five hours in a Cabinet meeting, discussing the withdrawal agreement drawn up with EU negotiators. In a brief statement to press, the Prime Minister confirmed Cabinet had agreed on the draft document, and that she would today speak to MPs. The 585-page document was published online shortly after Mrs May’s statement. Today, Brexit Secretary Dominic Raab, Work and Pensions Secretary Esther McVey and junior Brexit minister Suella Braverman all resigned soon after details emerged. Backbench brexiteer Jacob Rees-Mogg has called for a vote of no confidence in the Prime Minister. How does the British public feel about Theresa May's deal? A rapid turnaround YouGov study undertaken today asked the British public how they felt about the Prime Minister’s deal. The poll asked 3154 British adults their opinion on the latest Brexit developments. The agreement has not been accepted by the British public polls show. Four in ten (42 percent) of Britons oppose the deal, whilst only 19 percent are in favour of it. The remaining 39 percent answered, “don’t know”. This decision is roughly the same among both Leave and Remain voters. Four in ten Leave voters (42 percent) oppose the deal, as do almost half (47 percent) of Remain voters. On the supporting side, only 22 percent of leave and 20 percent of remain voters are in favour of the deal. 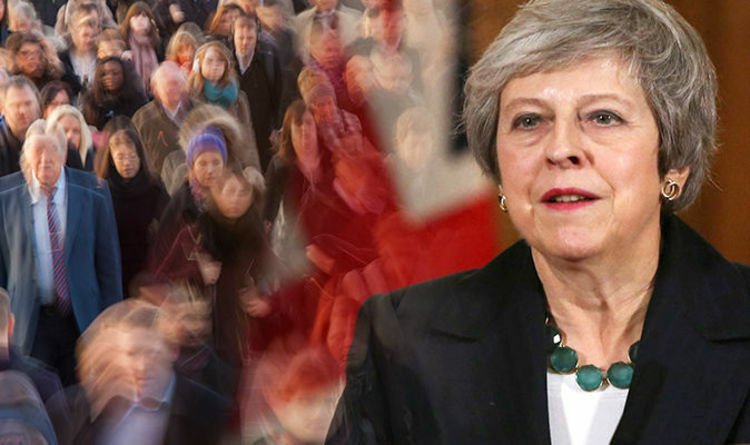 The Prime Minister has failed to win over her own party as 41 percent of 2017 Conservative voters are not impressed with the deal, whilst just 28 percent are in support of it. Many Britons also believe a better deal could have been possible. Four in ten, 44 percent, believe that Theresa May could have pushed for more favourable agreement terms. This is compared to just 19 percent who feel that the deal presented is the best possible. Overall Leave voters have higher expectations than those who voted Remainers. In total 55 percent of those who backed Brexit in 2016 think that a better deal is possible, compared to 40 percent of Remain voters.